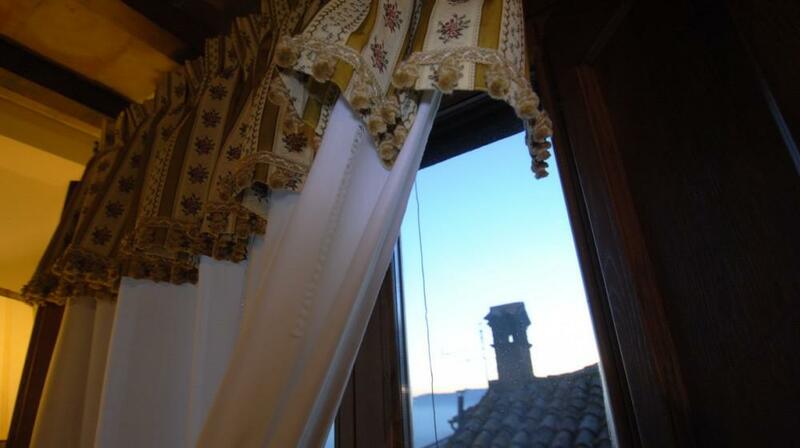 The watch tower of the ancient Castle of Collevalenza, medieval village just a few kilometers from Todi, is now part of the fascinating historic residence Torre Sangiovanni Hotel and Restaurant. 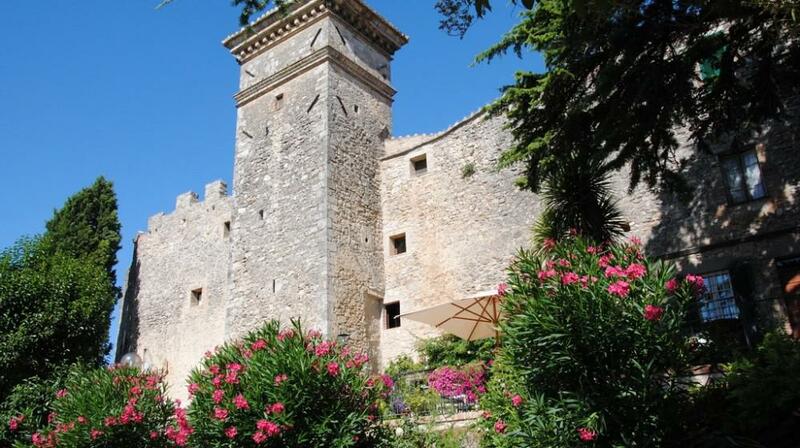 The ancient castle that includes the watchtower in 1200, was the scene of numerous disputes and angry attacks from opposing factions Guelph and Ghibellines of Todi; Castle itself from 1272 was repeatedly attacked, conquered, razed and for centuries it was the land of contention to the contrary parts up to 1500. 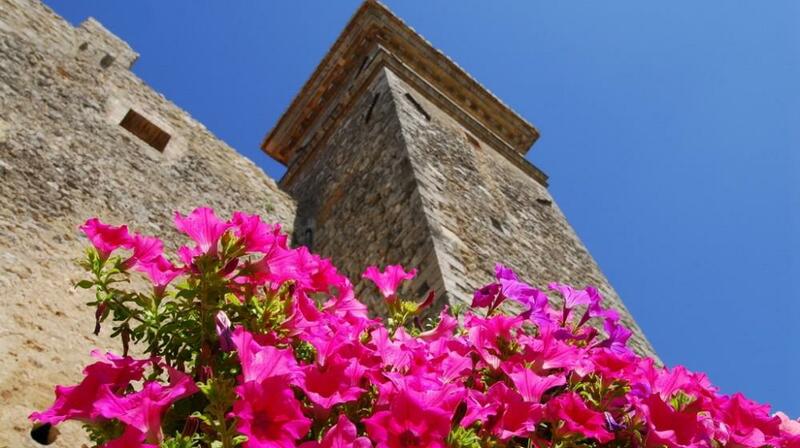 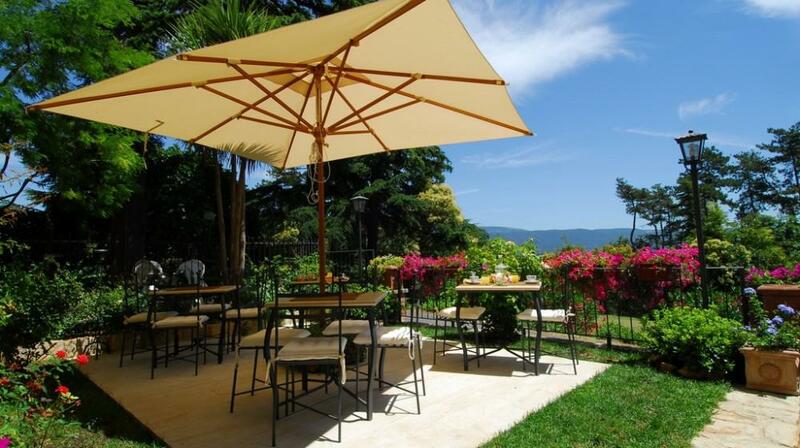 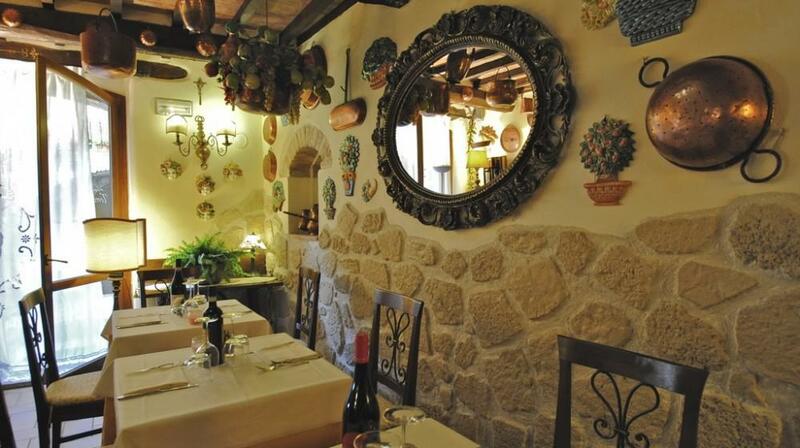 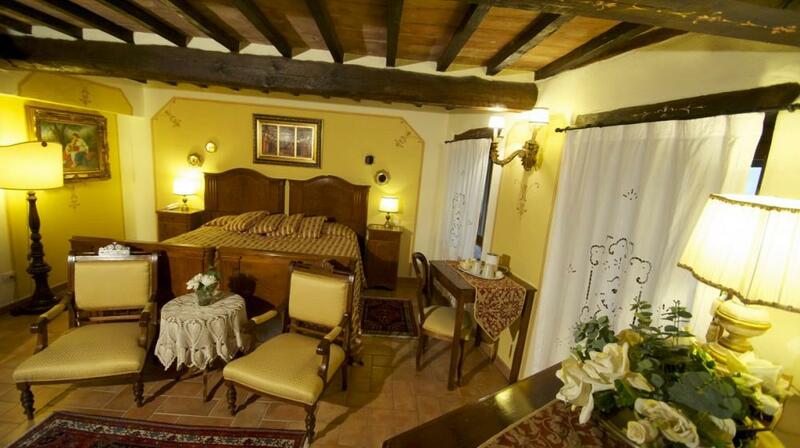 Torre Sangiovanni Hotel and Restaurant is born from the tenacious and patient work of restoration and preservation of part of the castle walls, the ancient tower, the old barns and secret rooms. 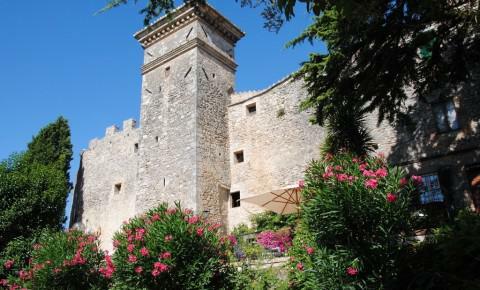 Guests still savor the magic and charm of ancient times thanks to the care and passion of the Rosary - the owner - who personally followed and in every detail the rebirth of the Tower and the Castle. 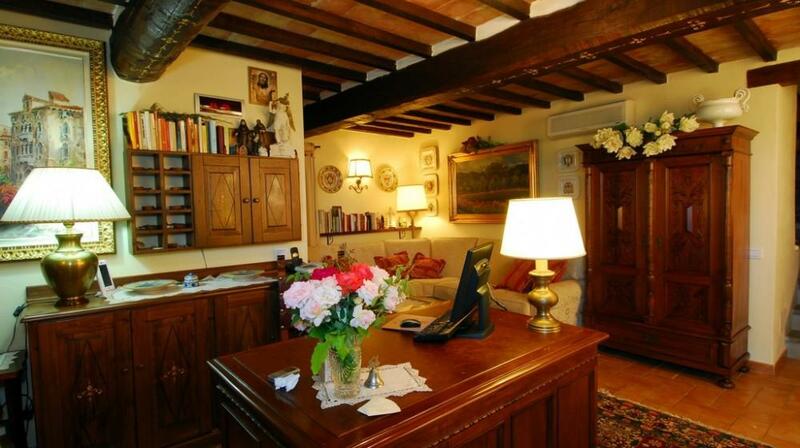 The charming, historical residence is furnished with antiques and family heirlooms and is equipped with modern comforts that blend beautifully with the story, in the invitation to the tranquility and the warm welcome of an old house. 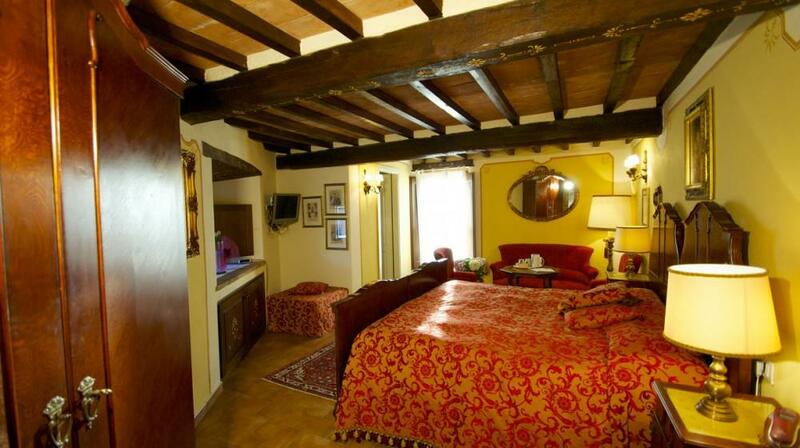 The rooms of Hotel Torre Sangiovanni are inside the castle walls of Collevalenza and, since spring 2012, also in the Palace dates back to the sixteenth century. 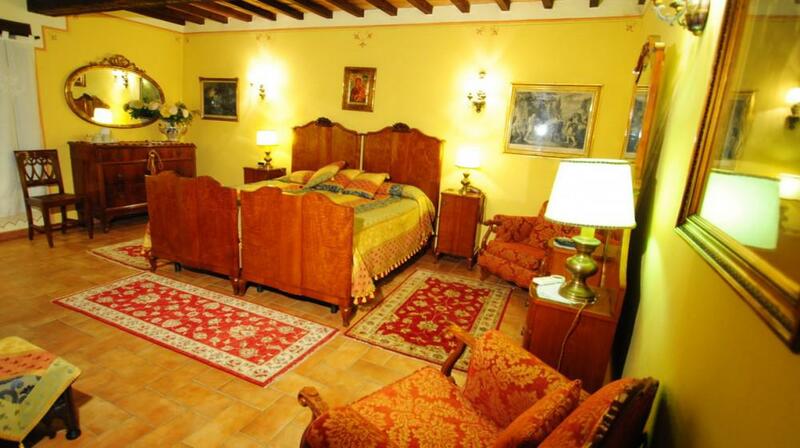 Rooms at the Palace also the entrance, added convenience for guests who need access to the B & B outside of reception opening. 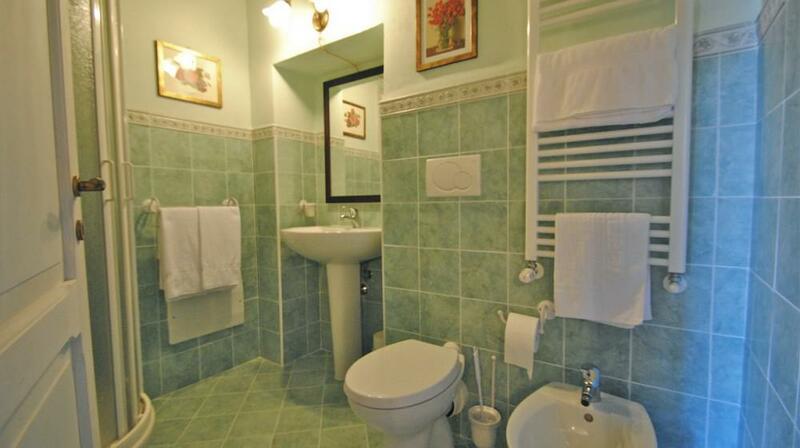 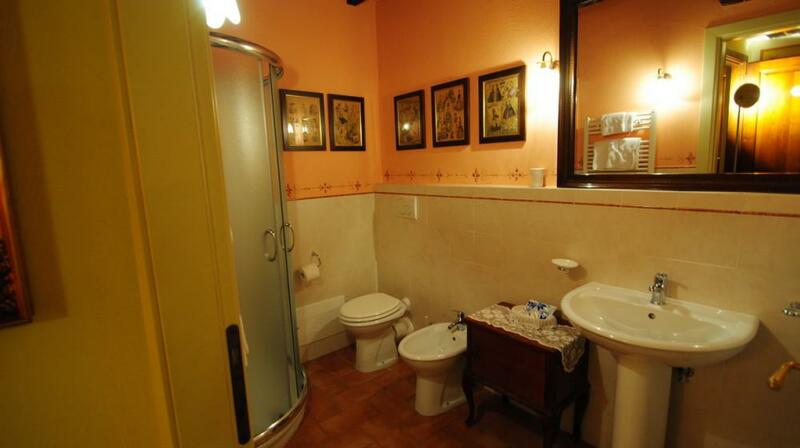 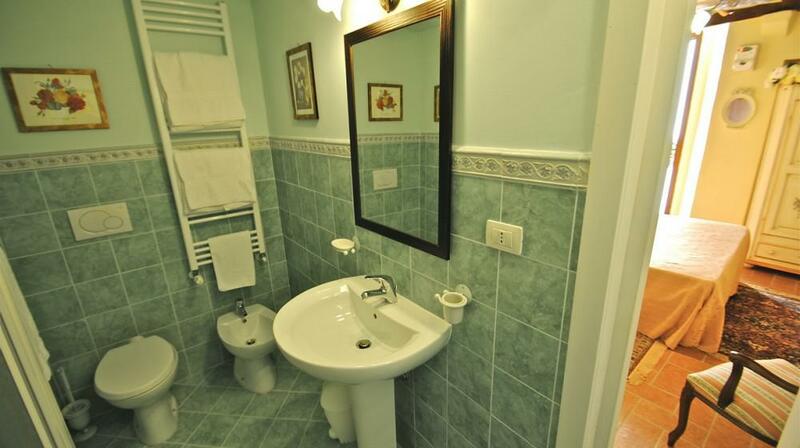 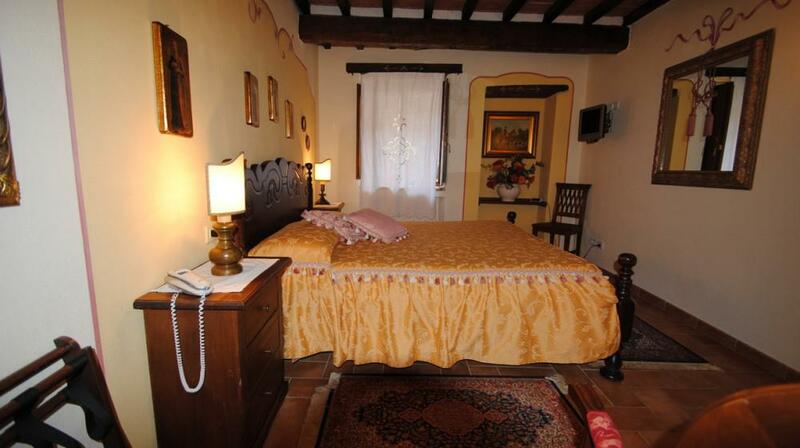 All types of rooms - Deluxe, Suites and Apartments - cut into the original structure of the medieval castle and the Palace, are equipped with private bathroom with hairdryer, air conditioning, Wi-Fi, satellite television and telephone. 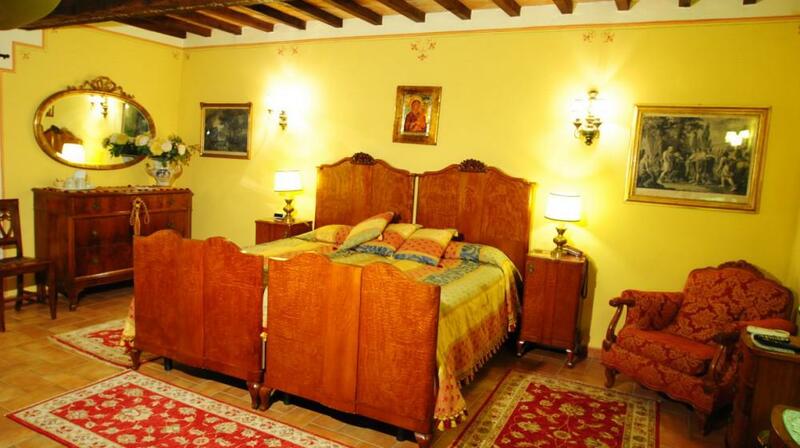 The furniture, the colors of the fabrics and artistic decorations are all different from each other and characterize every room making it a unique experience. 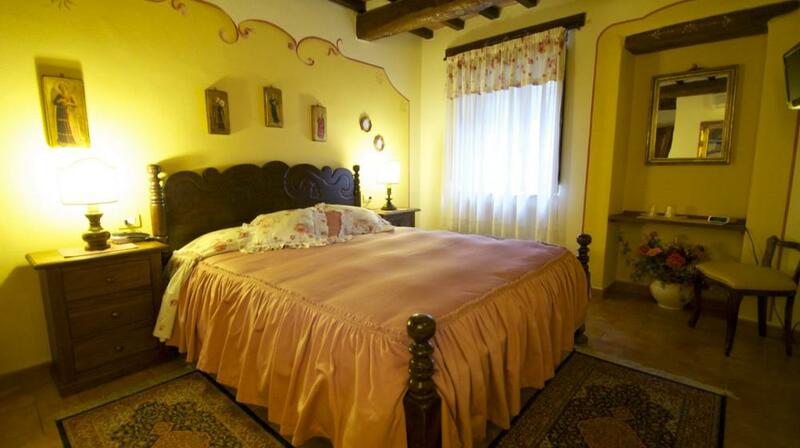 Cot: One child equal or under 0 years is charged € 10.00 per person per night in a child's cot/crib. 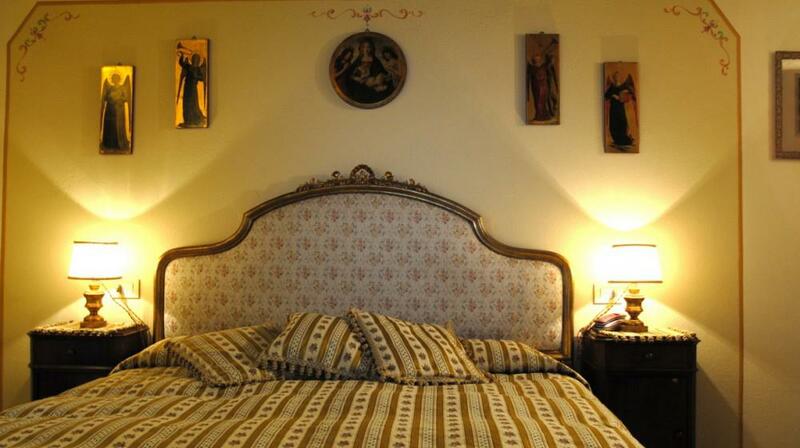 Extra beds Children: All children equal or under 4 years is charged € 10.00 per person per night when using extra beds. 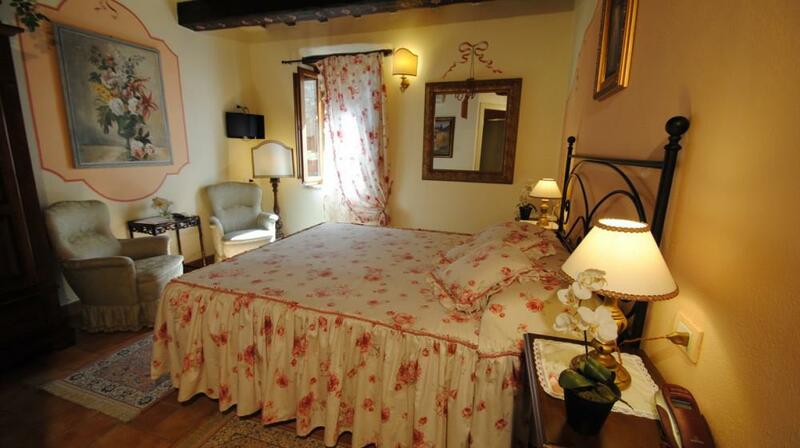 The Deluxe bedrooms, welcoming and refined, have double beds, wardrobe, private bathroom with shower and widow overlooking the picturesque alleys of the hamlet. 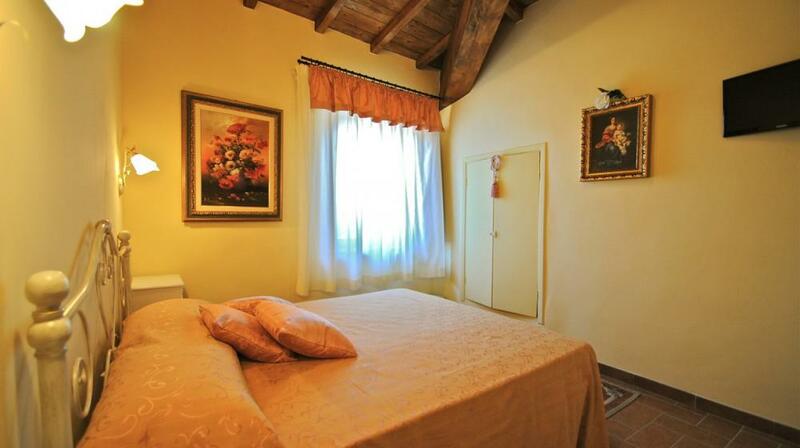 Some Deluxe bedrooms can be made into Twin bedrooms upon request. 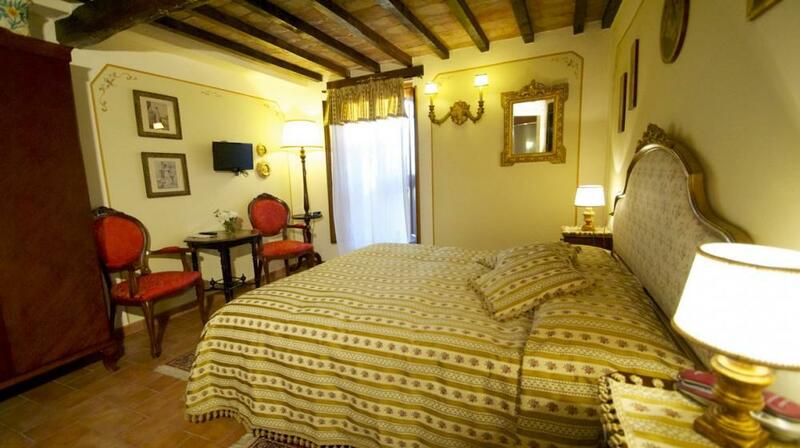 The Suite bedrooms, larger in order to accomodate a small sitting area, have larger beds, wardrobe, private bathroom with shower. 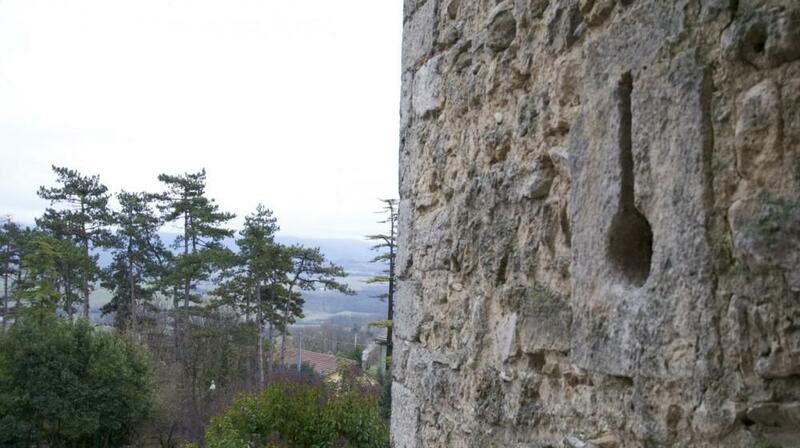 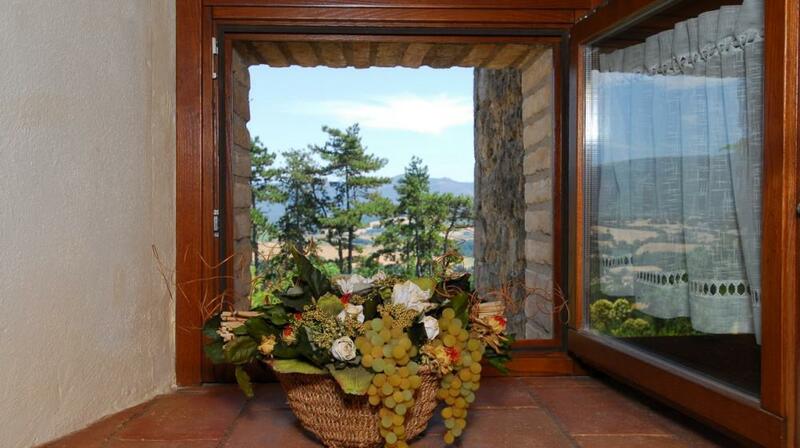 Some of them have a lovely view over the Castle gardens and the Martani range through the original castle windows. 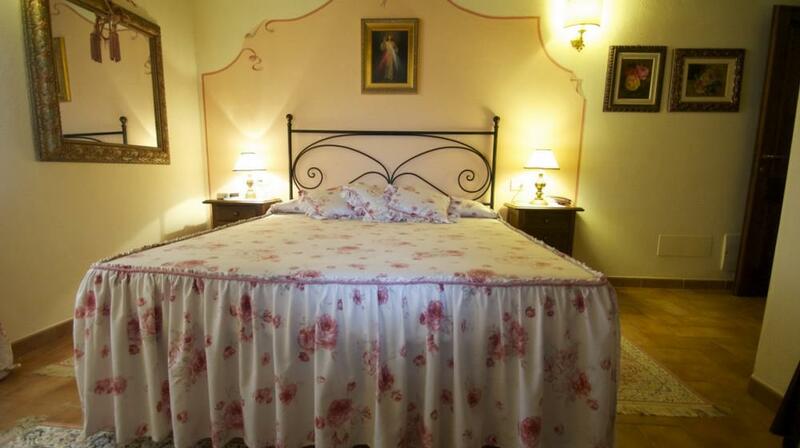 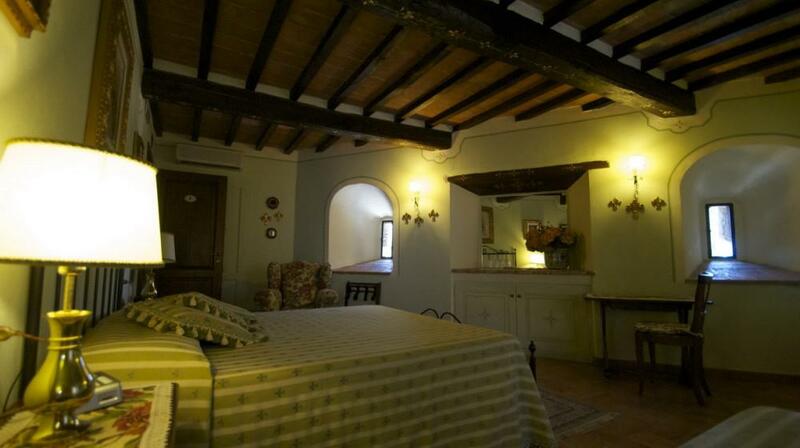 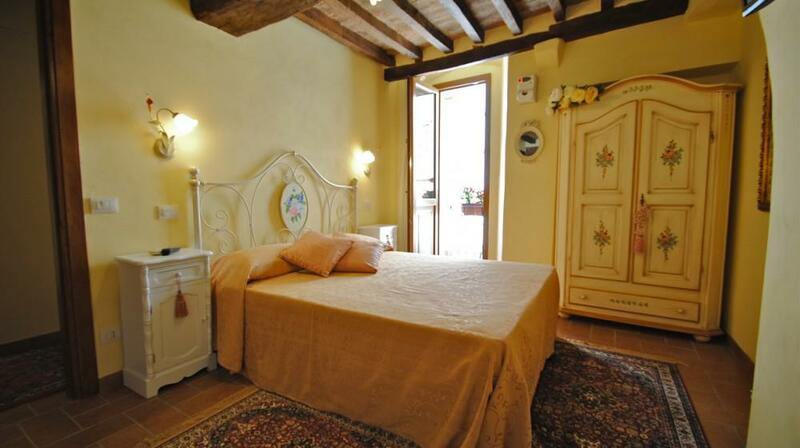 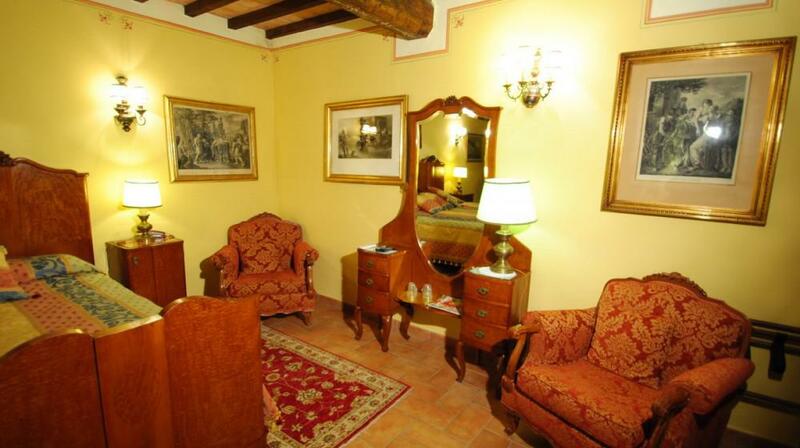 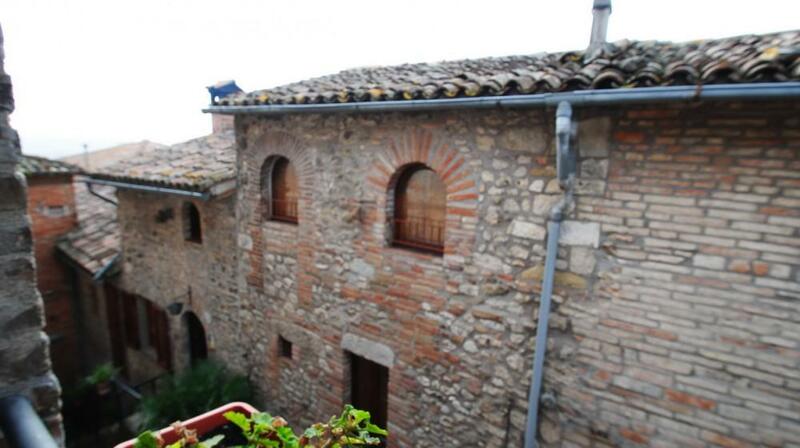 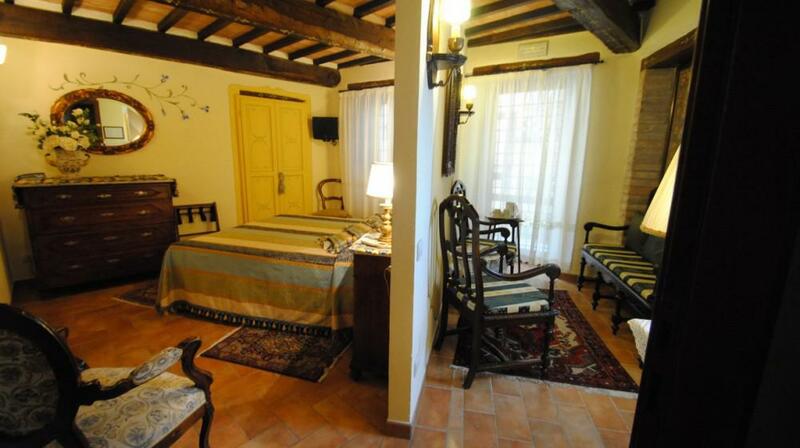 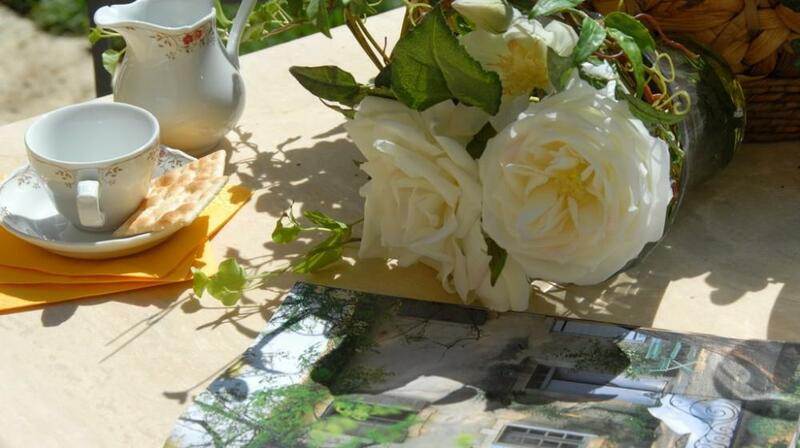 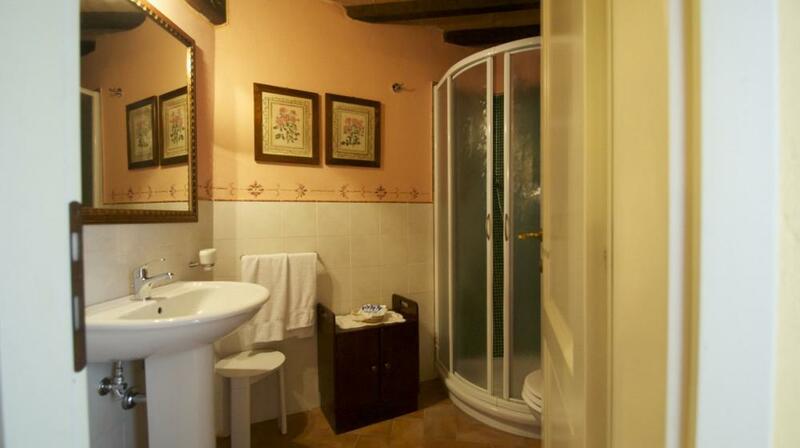 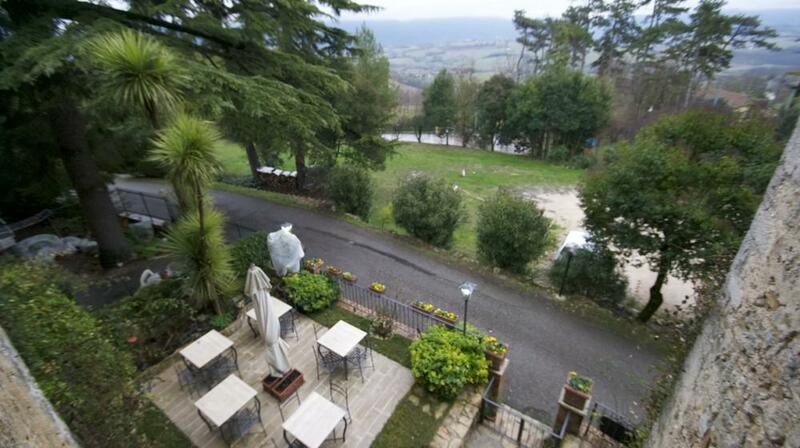 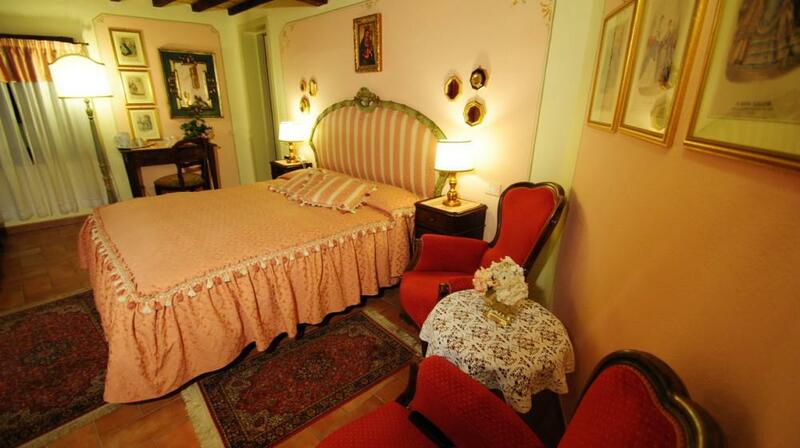 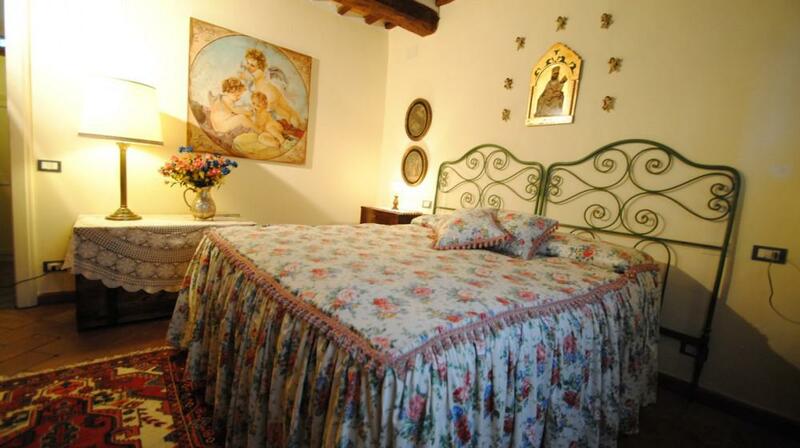 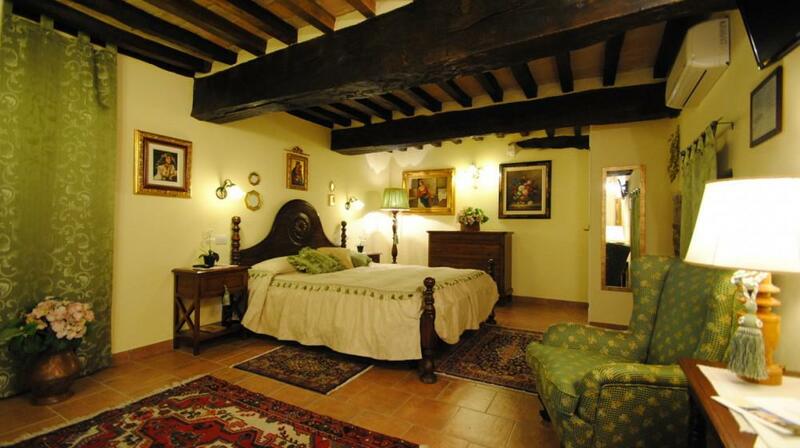 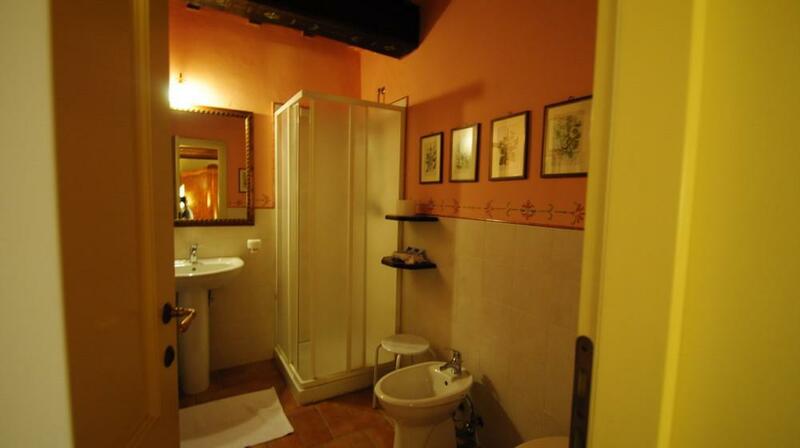 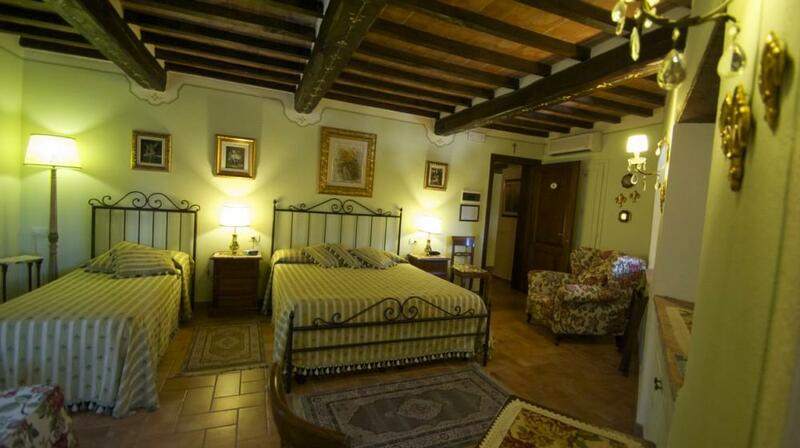 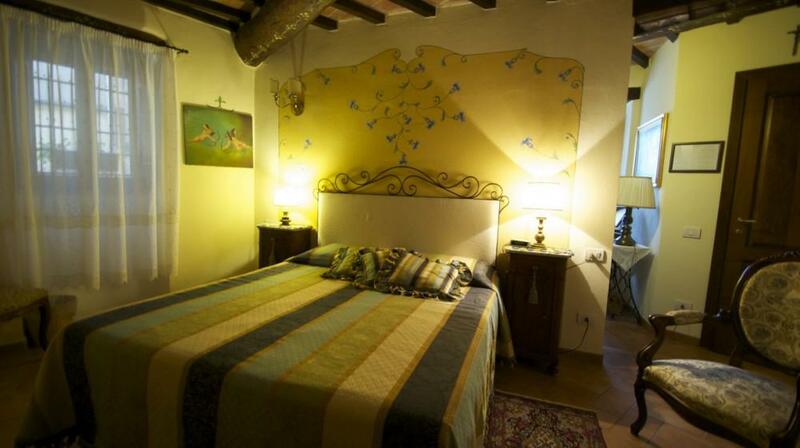 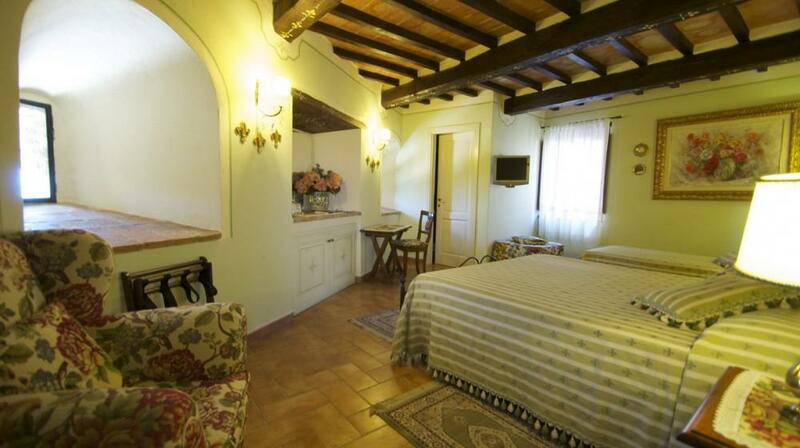 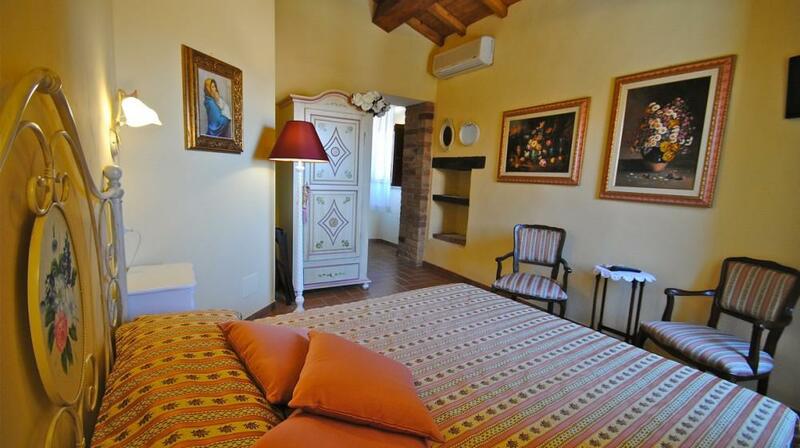 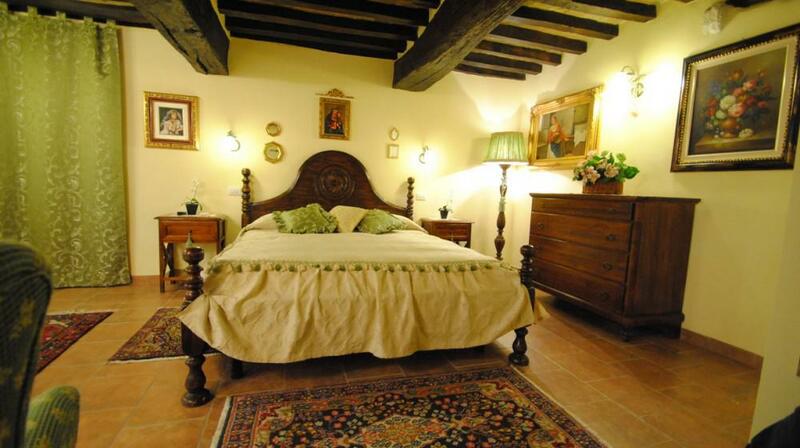 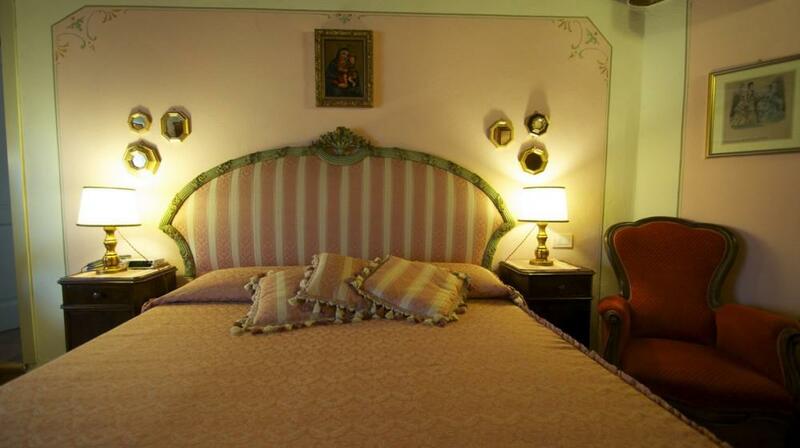 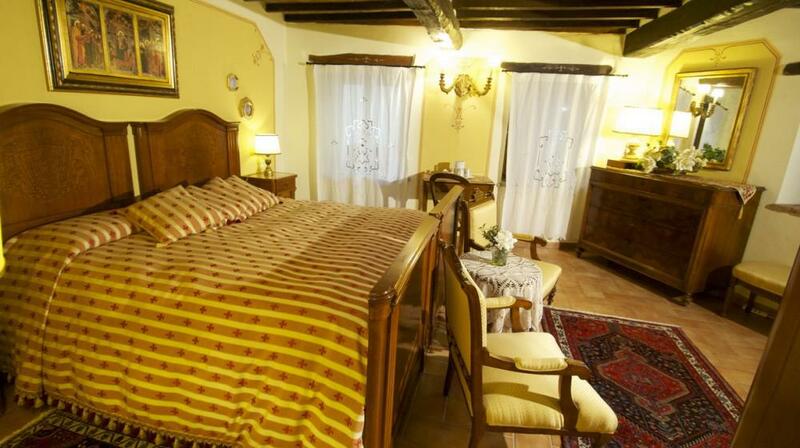 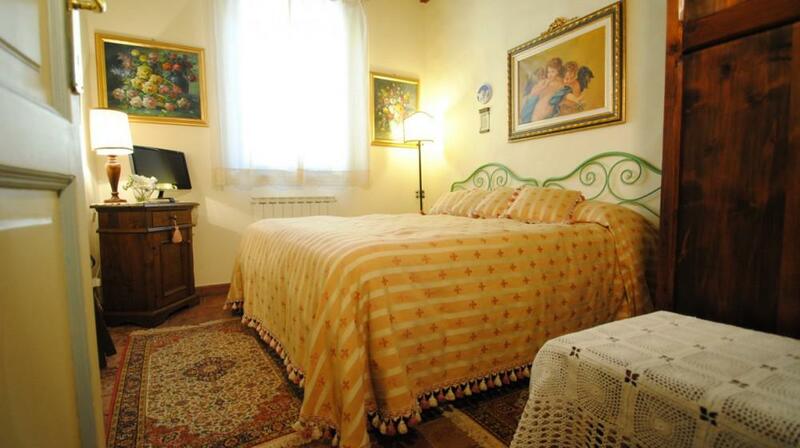 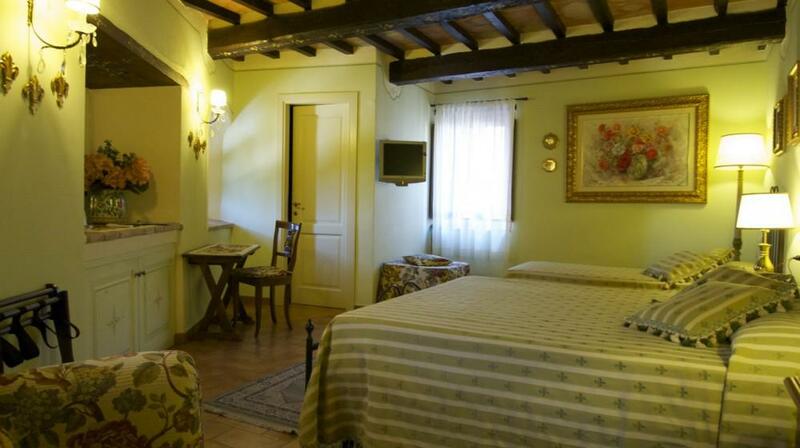 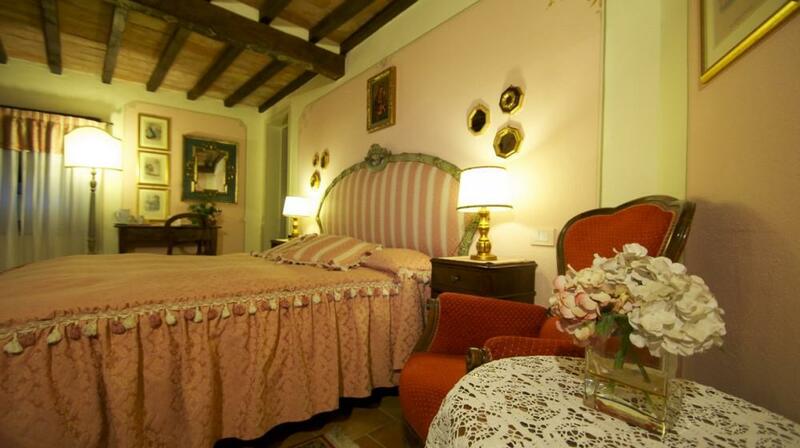 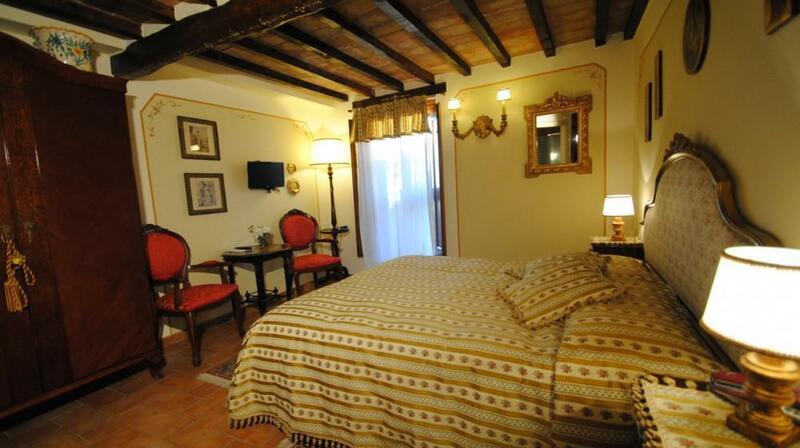 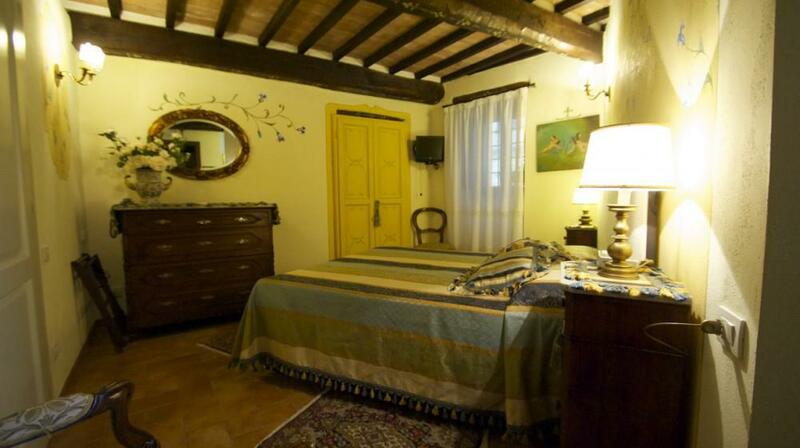 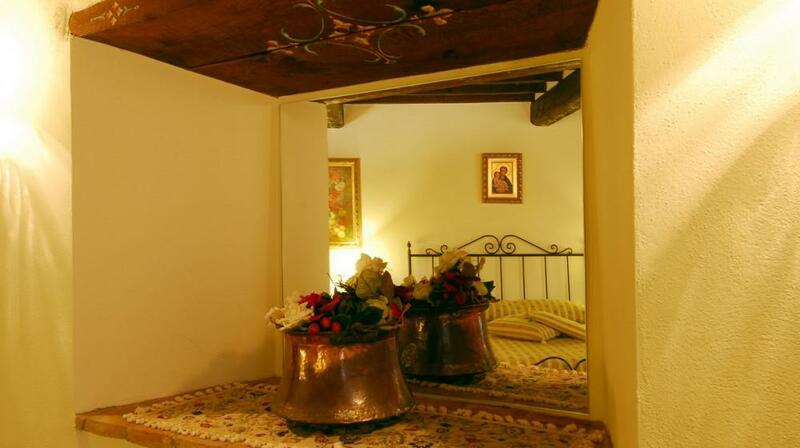 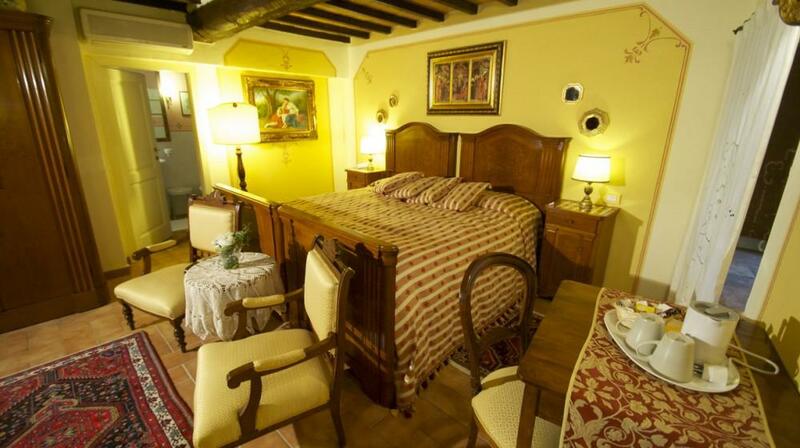 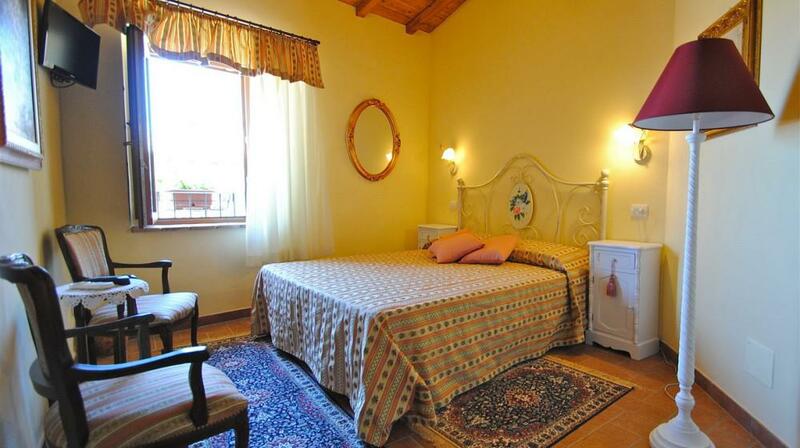 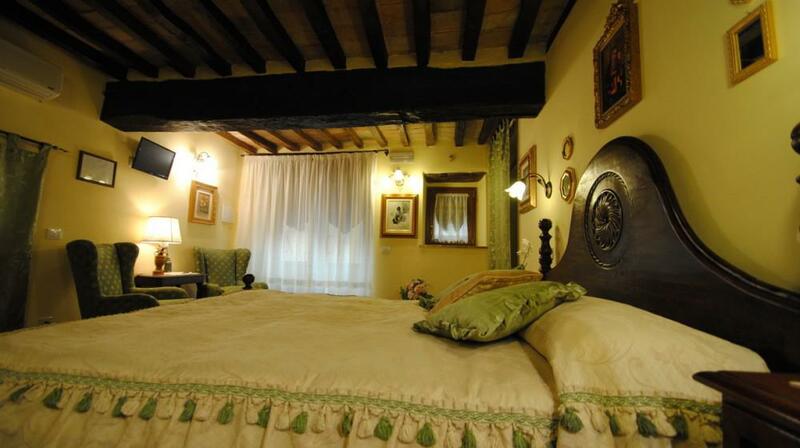 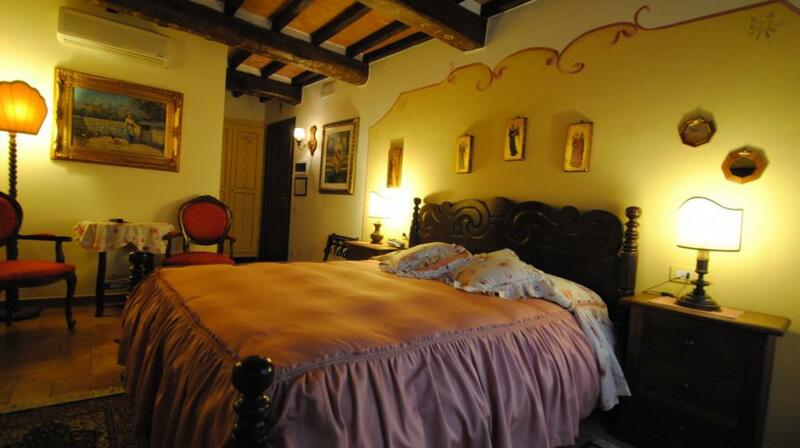 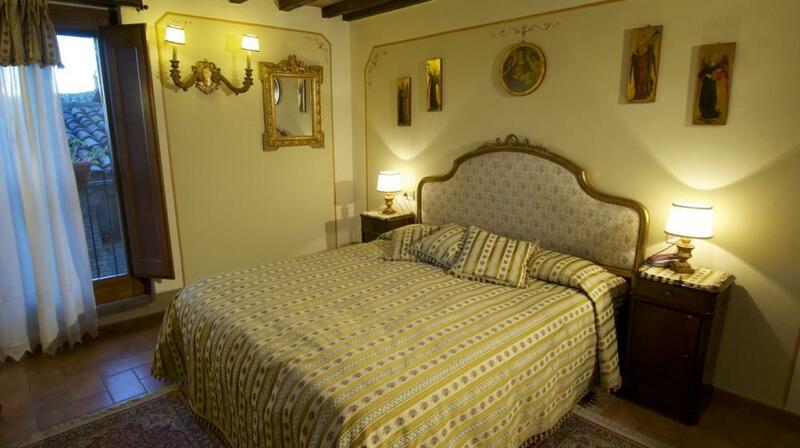 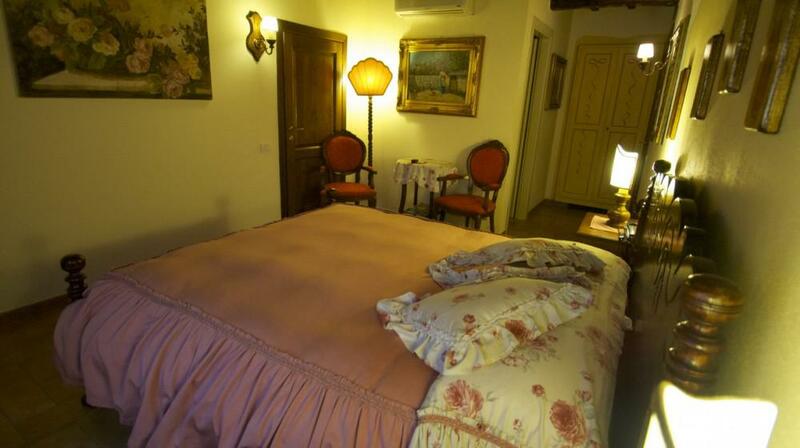 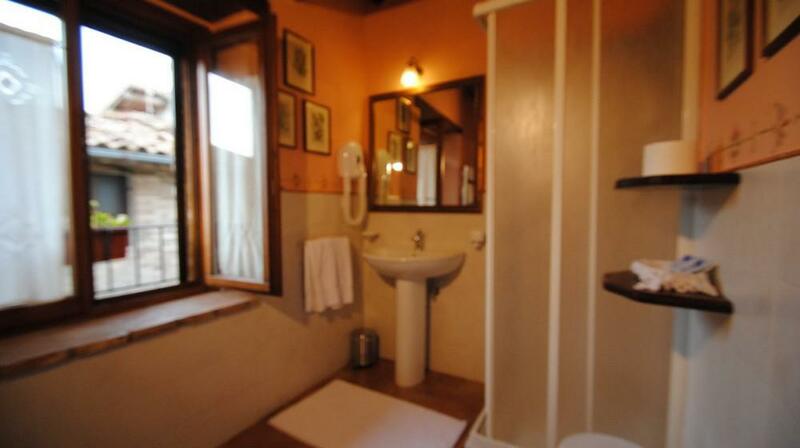 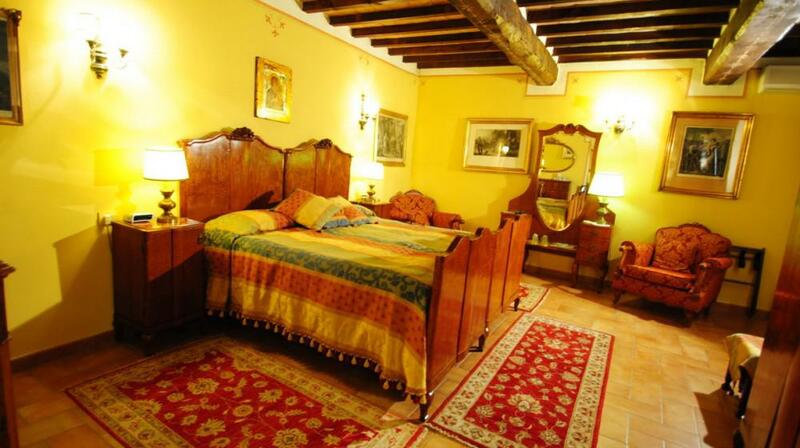 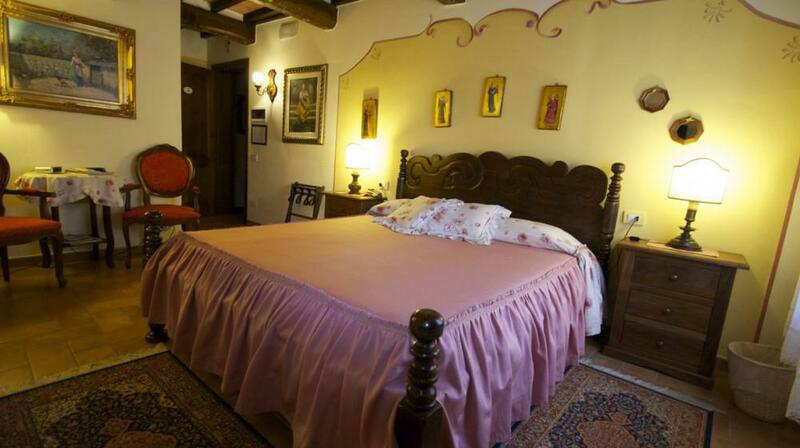 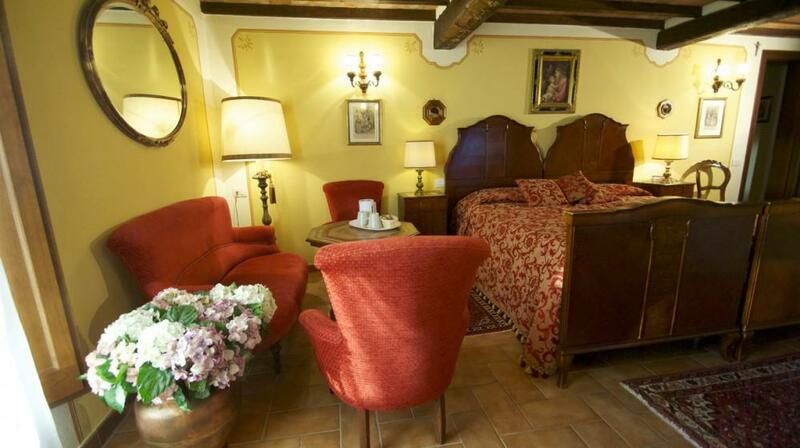 The Suite bedrooms in the Palazzetto wing, look over the hamlet's rooves in the direction of Todi. 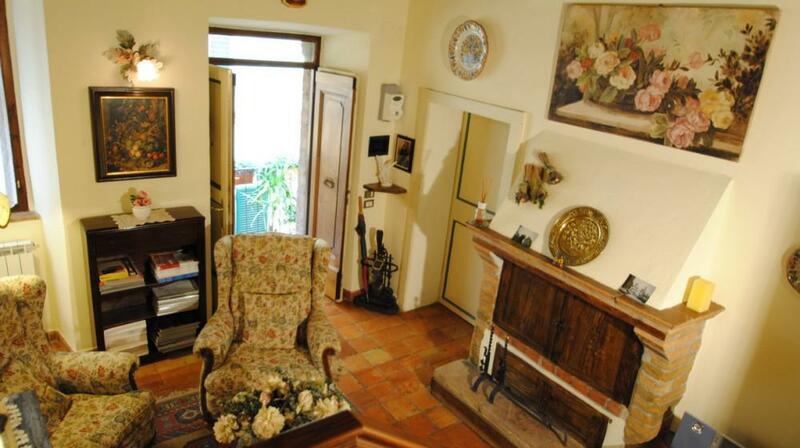 His Opinion: Piccola struttura, ma molto accogliente con un atmosfera familiare che sa di magia. 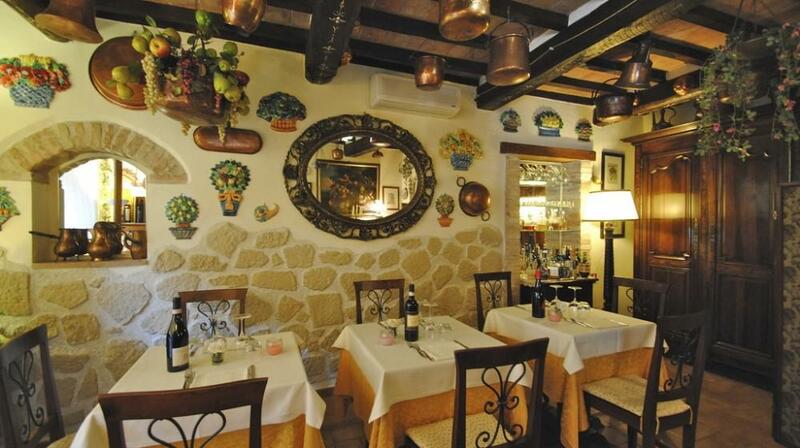 Cucina eccezionale.